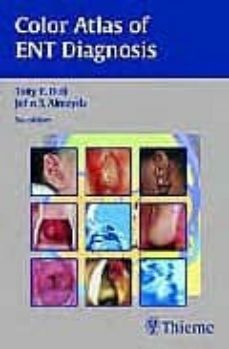 Since its first publication in 1974, the Color Atlas of ENT Diagnosis has established itself as an essential overview of ENT conditions, concisely written and brilliantly illustrated with a wealth of high-quality color photographs and drawings. The new fifth edition has been thoroughly revised and updated to cover the latest developments in the specialty. New texts and images have been added throughout. The text is divided into five main sections: ENT examination, the ear, the nose, the pharynx and larynx, and the head and neck. The focus is on the examination and diagnosis of both common and atypical disorders, with brief details of medical and surgical treatment where appropriate. The Color Atlas of ENT Diagnosis is a key introduction for ENT residents and medical students, and an invaluable reference for physicians and to those in allied specialties.